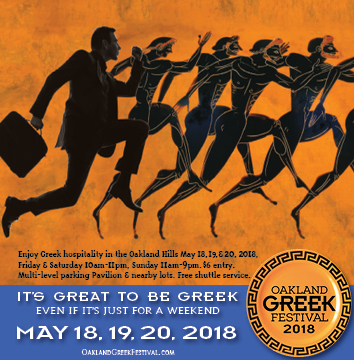 Enjoy a mini-vacation spent in the midst of authentic Greek culture at the Oakland Greek Festival taking place at the Greek Orthodox Cathedral in the Oakland Hills. 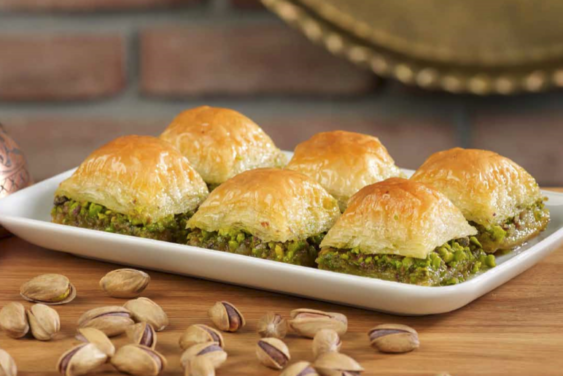 Find a plethora of Greek foods like Glyko pastries and warm lamb sandwiches, stroll through the marketplace (Agora), and take a few sprints around the dance floor to traditional Greek music. Free admission on Friday from 10 am-2 pm and on Sunday from 5 pm to closing. There will be free parking at the Mormon Temple, Ability Now Bay Area (formerly Cerebral Palsy Center) and Head Royce School.